are made to support clean and healthy local environments. (Toronto) Community leaders in Toronto are mobilizing to advocate for a legally binding Community Benefits Agreement as part of the $4.6 billion contract to be awarded by Metrolinx for the construction of the Eglinton Crosstown and Scarborough Light Rapid Transit lines. The tender call is expected to be issued within 90 days. A Community Benefits Agreement (CBA) would require contractors to direct job recruitment, skills training and procurement to historically disadvantaged communities and populations and would ensure investments are made to support clean and healthy local environments. The CBA model for large public infrastructure projects has been implemented successfully in cities around the world and is now coming to Toronto. 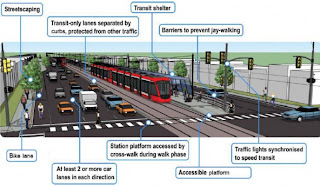 The Toronto Community Benefits Network (TCBN) is convening a workshop this weekend (April 27-28) to build the campaign for a CBA and to finalize a submission to Metrolinx with specific provisions for the LRT contract. The workshop will feature presentations by community benefits experts from Glasgow, Los Angeles and Vancouver. The TCBN is supported by a broad range of community and labour organizations and by the Metcalf Foundation, the Atkinson Foundation, United Way Toronto and the Maytree Foundation. The workshop will include about 50 participants and will focus on shaping specific CBA provisions for the LRT project, including: best practice requirements for targeted recruitment, training and employment; training programs that address broad needs such as literacy, job readiness, basic job skills and skilled trades; identifying funding sources and providers for training programs; and the role of community-based social enterprises. Members of the TCBN will be meeting with senior officials from Metrlolinx to de-brief from the workshop and the public forums.